Select your state to continue to explore home equity loans options. Sorry, we aren't live in that state. You may be able to find a personal loan, which lets you pay off your project without any home equity. Why HELOCs or home equity loans? HELOCs and home equity loans usually have lower rates than other financing options. Spread out your payments over 15 to 30 years to avoid a large, one-time hit to your bank account. By using your home equity, you may be able to access more money than you could through any other option. Home equity lines of credit let you tap into your home equity as needed. They have variable interest rates. Home equity loans give you a fixed amount of money, and you’ll pay the same amount every month. 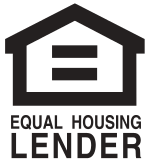 I want a HELOC or home equity loan. How do I get one? If approved, accept your offer! Introducing the ultimate guide to home improvement loans. * All loan information is presented without warranty, and estimated APR and other terms are not binding. Hearth’s lending partners generally present a range of APRs (for instance, from 5% to 35.99%) with a range of terms and monthly payments. As an example, a $10,000 loan with an APR of 14.50% and a term of 36 months would have a monthly payment of $344.21. Actual APRs will depend on factors like credit score, loan amount, loan term, and credit history. Only borrowers with excellent credit will qualify for the lowest APRs. All loans are subject to credit review and approval. Hearth is a technology company, which is licensed as a broker as may be required by state law. NMLS ID# 1628533 |NMLS Consumer Access. Hearth does not accept applications for credit, does not make loans, and does not make credit decisions; this site does not constitute an offer or solicitation to lend. All insurance services are provided by Hearth Home Insurance Solutions, Inc. Hearth may be compensated by third-party advertisers.